If you decide to take a mortgage loan from a banking institution or a lending institution, you need to keep an eye for the amount that you need to pay back for the duration of the loan. With all those numbers and components that you need to remember, the task becomes difficult and confusing. 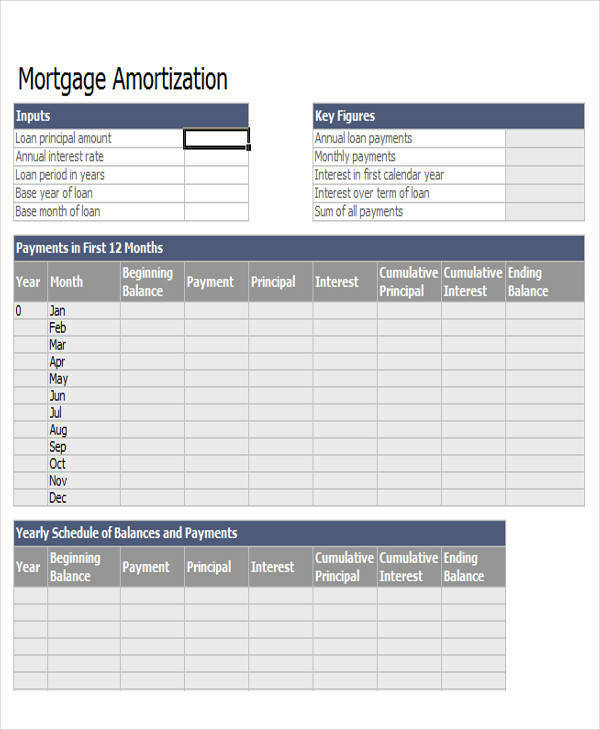 Mortgage amortization spreadsheets can be used to list the needed components for your mortgage. It is essential that you are updated about your mortgage to avoid losing the property you have in collateral. 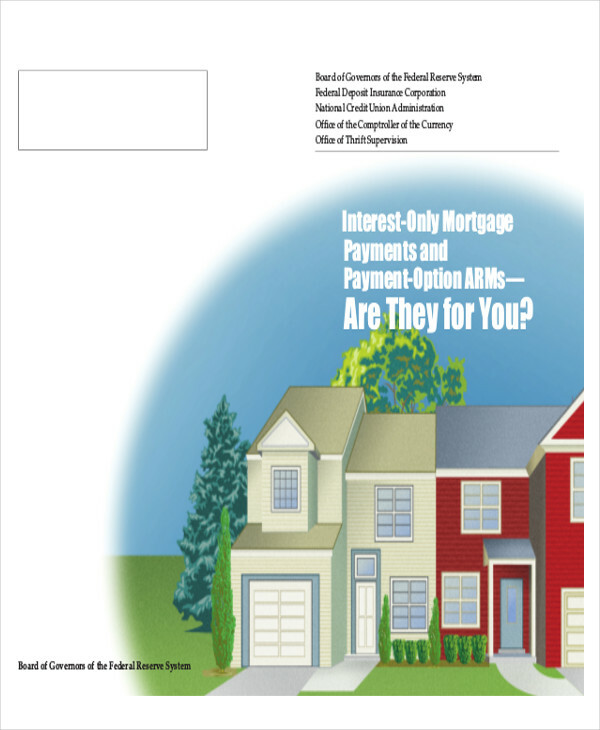 In this case we have schedule samples to help you on your way to keeping up with your mortgage loan. Before getting involved with the confusing world of lending and borrowing, here are basic components that can save you from a lot of trouble. Lender – They are usually the banks, business societies, lending institutions, and credit unions. They lend the funds with interest to the borrowers. Borrower – They are individuals or businesses that put their properties on mortgage. Mortgage – It is secured by a collateral, such as a house or any property. It is paid monthly with its corresponding interest. 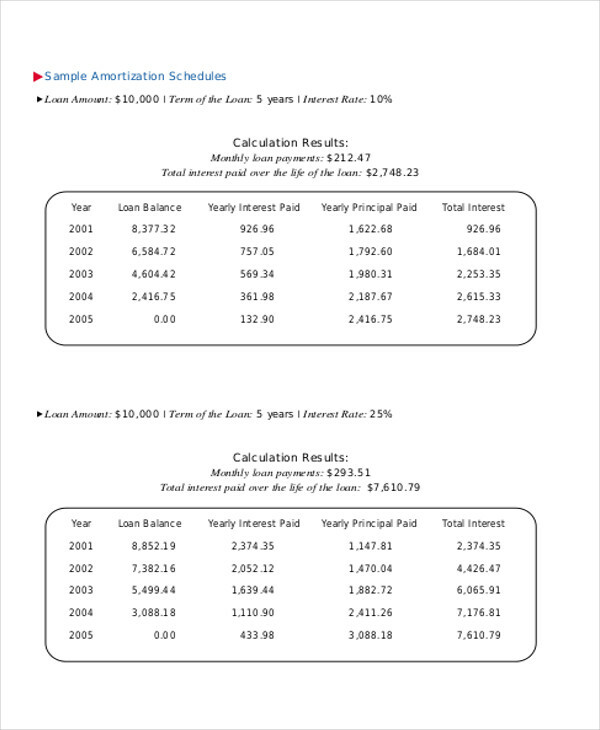 Mortgage Amortization Calculators are used to easily compute mortgage payments. Principal – This is the amount to be borrowed. Interest – This is charged by financial institutions for lending the borrowers their money. Repossession/ Foreclosure – If the borrower fails to keep up with the repayment of the mortgage loan, their collateral will be foreclosed or repossessed and the lender has the right to do so. Completion – It is the legal completion of the mortgage deed and is actually the start of the mortgage. 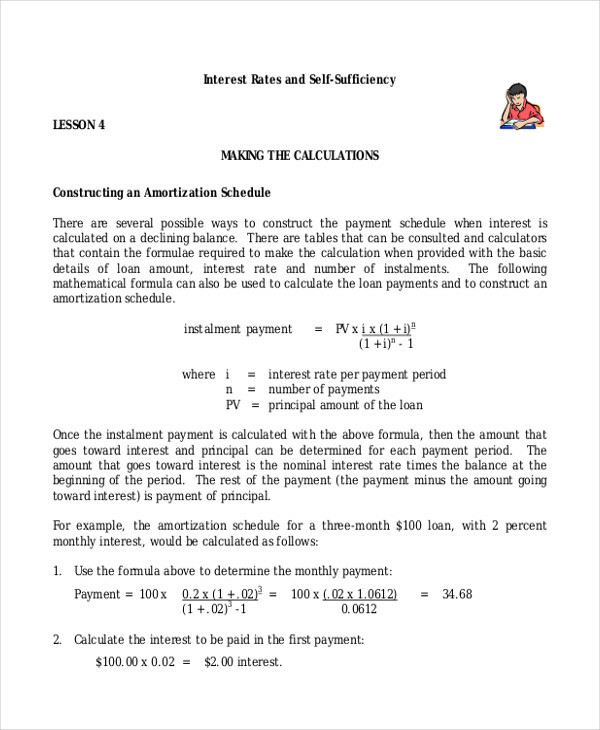 Redemption/Repayment – A redemption is when the last outstanding amount or balance is paid. This is usually the case after the end of the scheduled term. It will keep you organized with your mortgage loan. Serves as your reminder for payment schedules, other important dates, and outstanding balance. You can have a list of all the important components of your mortgage. 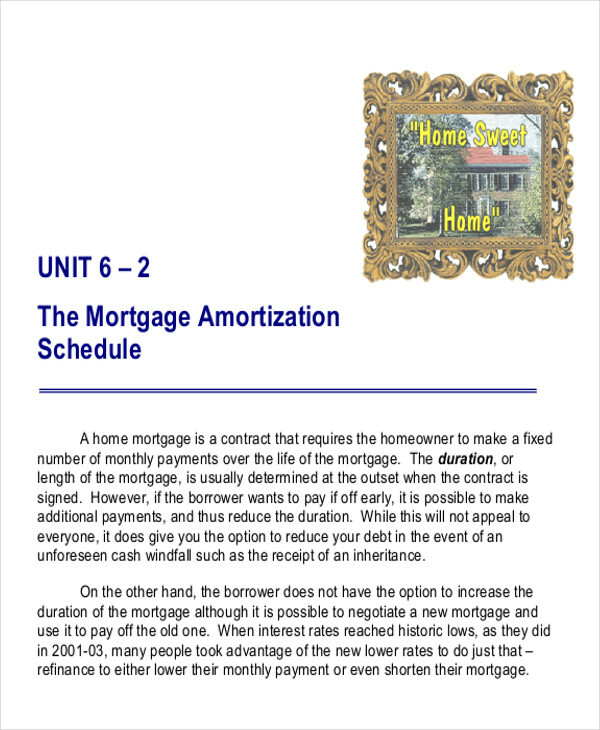 It helps to easily understand the complex process of mortgage amortization. It is made user-friendly for first timers. Provides a clear concept of the loan before borrowers go for one. It offers a clear monthly setup for the borrower. If you are planning to get out of your mortgage before your loan ends, you need to watch out for the fees or penalties. Just like most agreements, you may be asked for additional fees on top of what you are already paying, or a penalty if you wish to quit before loan ends. These fees can be hefty. You should check your contract before making the decision. Mortgages are usually long-term loans and are secured with your property as a collateral. That is why your decision-making is crucial in the whole process. 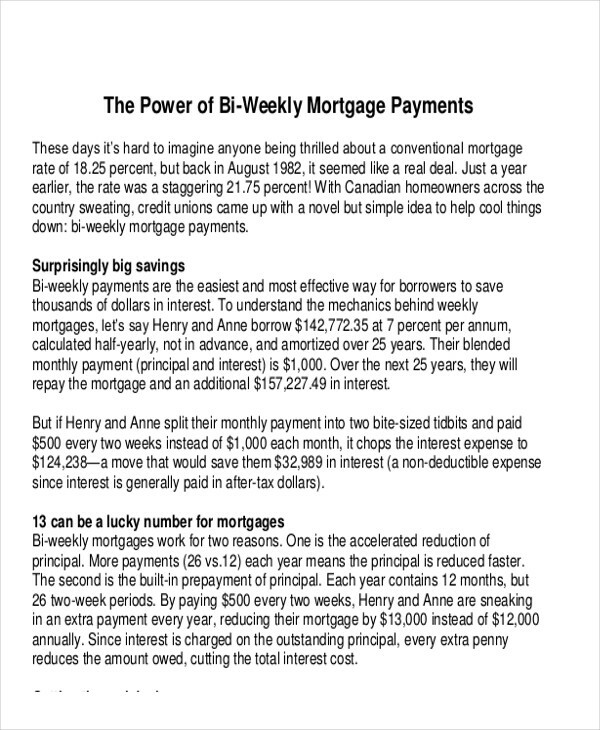 Knowing how mortgages work and the basic components can save you from making wrong decisions. 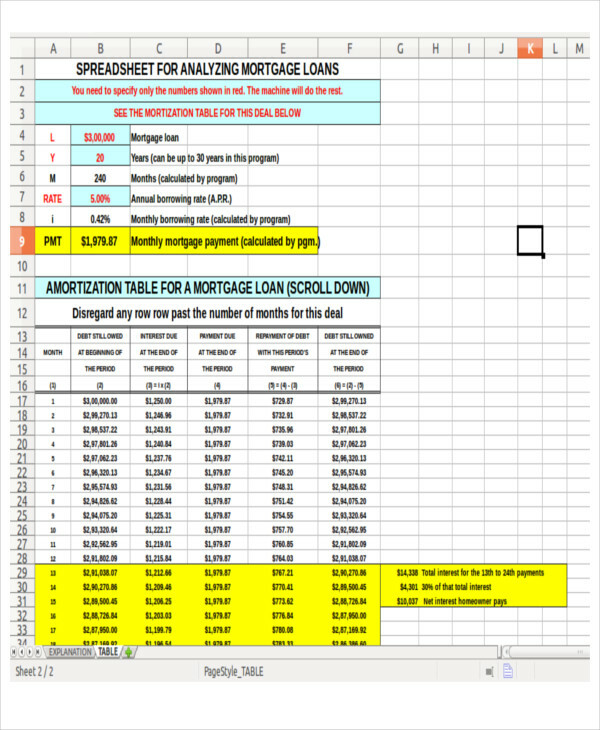 Try to explore these mortgage amortization spreadsheets to help you learn and understand more about mortgage amortization. 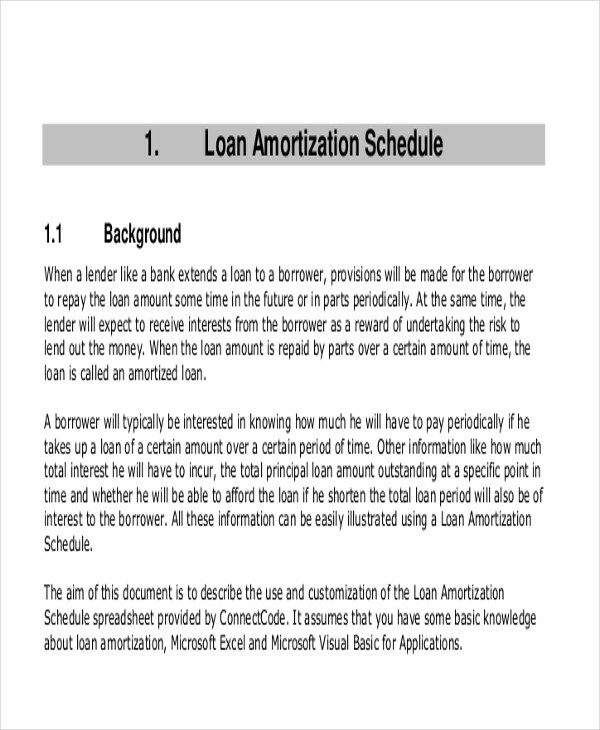 Please also check our Loan Amortization Schedule Excel Samples.